It is hard to get your head around the achievements of Team GB these last couple of weeks. Those of us who are old enough may remember getting up early in the morning to watch David Hemery win Britain’s solitary gold on the track in Mexico, and the stir that created. 20 years ago in Atlanta the haul was one solitary gold medal for the whole games. The role of the eternal also-ran seemed ours for the taking, GB were simply not able to compete with others. Set against this backdrop, the performances at these games and the sheer dominance in some events, seem unreal. These changes haven’t happened overnight though and it shouldn’t be too much of a surprise when tracking each subsequent games up to London 2012. It takes time to develop greatness. 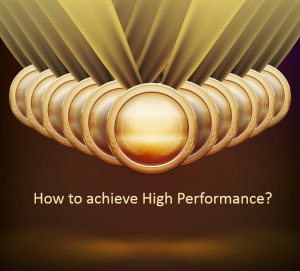 So what is needed to achieve high performance? Investment – the correlation between lottery money and success is undeniable, if we want to be successful we need to invest. For business this could mean money but it also means investing time and effort to help people excel. Knowing what Good looks like – setting targets and goals has helped Team GB and the teams within. Setting out clear expectations of individuals and making tough decisions when needed. Business follows exactly the same principles (or should do). Going from Good to Great – Dave Brailsford is widely credited with the success in Cycling and you may have heard him talk about “marginal gains”. That means having 1-1 conversations with people to find out all the tiny adjustments that can be made to their environment, that cumulatively lead to success. Business should do that too, creating optimum conditions so people can be great. Values – at the heart of the cycling team is a set of core principles, things like “ownership” and “commitment” and these are coached and lived and breathed to create professional athletic behaviours. Businesses also have core values and the very best ones believe in them and use them to drive professional behaviour. Feedback – our athletes are possibly the most observed and critiqued people you will ever see, every performance and nuance of performance will be played back, each time providing instant feedback on how to improve. Business should provide, if not the same level, at least regular instantaneous feedback and conversations about performance. Of course it isn’t all as straightforward as that and it may take time in business to begin to see a return on all of the above. But if we start now with our people we may well see some quick wins and, in the words of BBC commentators who insist on turning nouns into verbs, they may even eventually “medal”. I will be talking more about this on our “Performance Management: Courageous Conversations” at St Helens Chamber on 8th September and there are significant discounts for Chamber members.